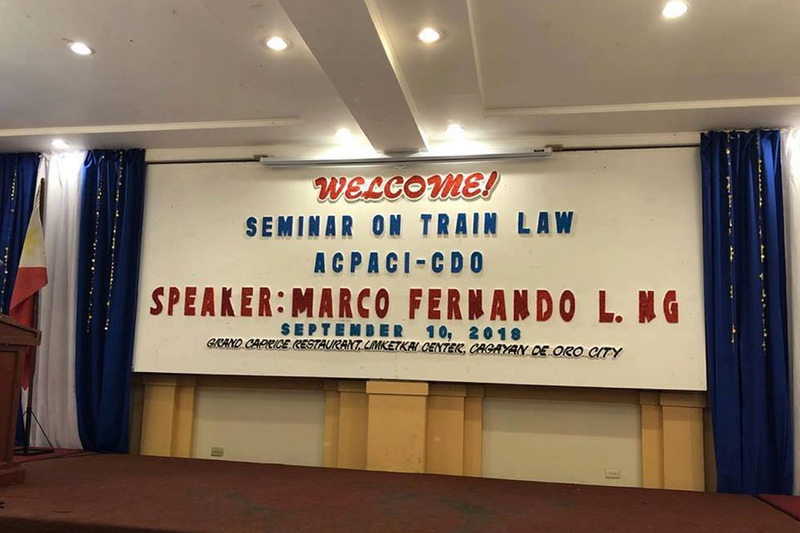 September 10, 2018 — JuanTax attended the Fraud Risk Assessment and Internal Control Assessment seminar as conducted by ACPACI which was held at the Grand Caprice restaurant in Cagayan De Oro City. Not only did the tax software company was present at the event but they also delivered a keynote speech courtesy of Marvin Galang, CEO and Founder of JuanTax. During his speech, Marvin shared his insights on the significance of adapting with today’s technology as well as how machine learning changed the landscape of the Accounting industry. Other topics included were the characteristics of cloud computing, its types as well as its benefits and drawbacks, and the existing technologies that could help on improving one’s practice. Security, Machine Learning , etc. Aside from the basics of cloud computing, additional topics that were mentioned are the security risks that most business are facing, tips on how to combat these threats and securing one’s data. The ACPACI or also known as the Association of CPA’s in Commerce and Industry is a group consisting of professionals from the world of Accounting, Commerce and industry sectors which came together for one goal: Attaining the best and effective business decisions in the Philippines. The ACPACI seminar is a two-day seminar that’s happening from September 10-11, 2018. We’re looking forward to see you all at the event!